I wanted to pop in and share something crazy with you I just did. You haven't seen me for awhile as I've been trying to remember how to take care of an infant, we started planning VBS and the blog is undergoing a makeover! Don't tell it... but it's kind of dated. Shhh.... More on that later. We all know I'm a super fitness guru, right? If you just heard a loud roar of laughter don't panic... it is supposed to be there since me and fitness, we haven't met yet. In fact, I've been avoiding meeting Fitness my entire life. I think I majored in "Getting out of P.E." instead of going to P.E. You read that right. And if you spit your coffee or water onto your computer in shock, go ahead and clean it. I'll wait. Believe me, I understand. Me? Running? A Half Marathon?! That is over 13 miles! Have I lost my mind? I've finally jumped on one of those fitness bandwagons right? No. I don't have time for crossfit. My husband would stop eating with me if I did Paleo and I've tried Plexus and the pink and me... it was a sad parting of ways. And no, I haven't suddenly decided I want to be a runner. 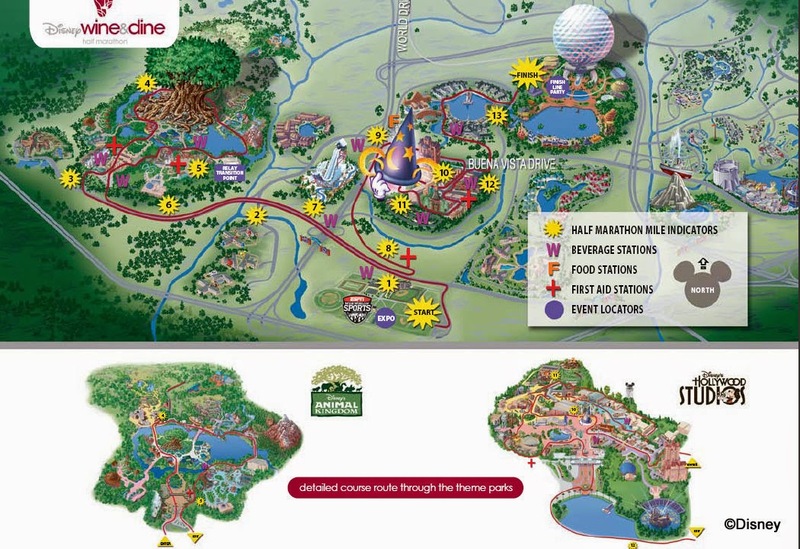 I want to do one of those mud obstacle course things and do a RunDisney. I actually worked one of the first Disney Run's through the then Disney MGM Studios a few years ago. It was awesome! I was up at 3am driving around a golf cart through a theme park placing down yellow cones. Good times. Good times. So, while we were in Disney World a week or so ago I convinced Bryan to do a Night race with me, The Disney Wine and Dine Half Marathon. 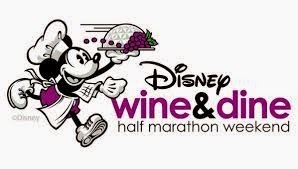 Running(If I have to) + Disney + Costumes (cause you know that is how we roll) + Wine & Food at the after party = Adventure! 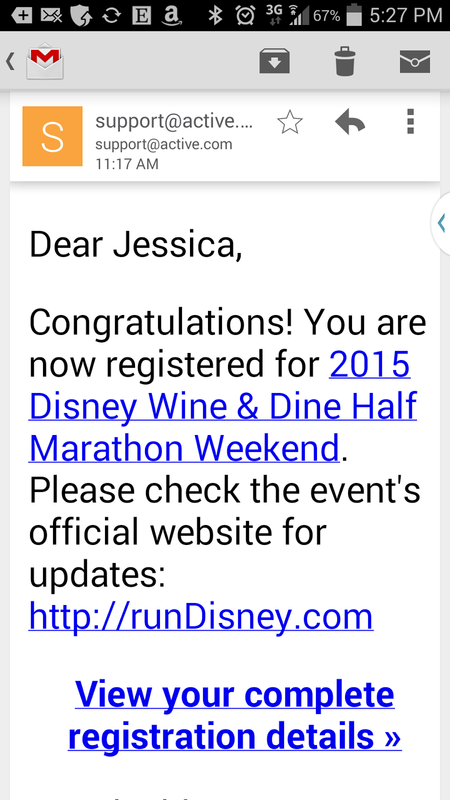 So, at Noon Eastern Bryan jumped onto the RunDisney site and registered us. The race was sold out in 47 minutes. Yikes... People really like to run and Run Disney. Now all I have to do now is... start running! My friend Leslie, who is an actual runner and running the Iron Man in May (she is the real deal y'all) has volunteered to help coach me and Bryan is ready to get me off my bum as well. What do you think? I have 233 days left to get my running legs going. Do you have any good advice for me?